Since 1997, AWM Limited have been the exclusive UK distributors for Cardinal Detecto Scale, one of the largest independent scale manufacturers in the USA. 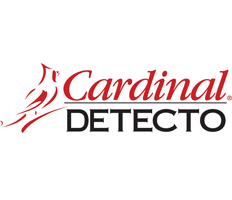 Cardinal Scale are based in Webb City, Missouri and employ over 450 people, manufacturing high quality industrial and medical scales under the brand names Cardinal and Detecto. Detecto has long been the brand name in US medical weighing and since 2002 Cardinal Detecto has become renowned and respected throughout the rest of the world for their innovative and high quality product ranges. In 1989, AWM Limited began manufacturing the Valueweigh range of industrial platform scales, creating a trusted and highly regarded brand of professional weighing solutions. 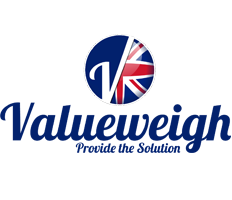 The Valueweigh range has expanded over the years (it is now commonly referred to as the VW range) and remains as popular as ever, offering premium quality, UK manufactured weighing solutions designed and built to the highest quality standards.The VW range is built to last. We use quality components and will not compromise on material and build quality. All of our loadcells are OIML approved and all platforms can be Class III verified as required. Baykon was founded in 1987 by a group of experienced weighing engineers with a vast knowledge and first hand experience of top level weighing and process control. With a company vision that uses this experience and know-how to provide high quality, innovative and well priced weighing solutions, backed by fast, effective and knowledgeable customer support Baykon have grown to become a world leader in industrial weighing and offer an unmatched expertise in process control gained from over 30 years of manufacturing experience. Vetta Macchi are a world renowned manufacturer of high quality mechanical platform scales based in Varese, Italy. Founded in 1946 the Vetta Macchi range of stainless steel mechanical dial scales is unmatched for it's weighing performance and good looks! AWM Limited have been selling Vetta Macchi products for over 10 years and are their exclusive UK distributor. We recommend their product for it's quality and workmanship. From stainless steel high capacity platform scales to high accuracy bench scales, the Vetta Macchi range is ideal for all of your mechanical dial scale needs.